I made the skirt and showed Isabella. Her eyes lit up and she wanted to put it on before it was finished. I quickly threaded the elastic through, finished it off and gave her our cat mask and asked would she mind if I took some photos of her in her cat skirt pretending to be a cat....yeah...she thought she could manage that! I used the Oliver + S Sunday brunch skirt pattern and just added ears when sewing the waistband on. I then hand-stitched the whiskers with 6 strands of embroidery thread and sewed on brown button eyes and a rusty pink button nose (at Isabella' request). The fabric is a lovely midnight blue velvet which was given to me by a lovely friend. The pocket lining is a sweet navy and white spot. Oh yeah...she loves the skirt! And I have to admit, Issie looks rather Wonder Womanish with her red boots!! I know this is one that Isabella will want to wear again and again. It feels good to sew something they love! 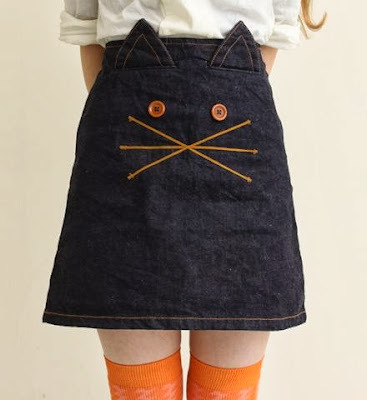 I just love cats and this skirt is too cute for words!!! Love it! 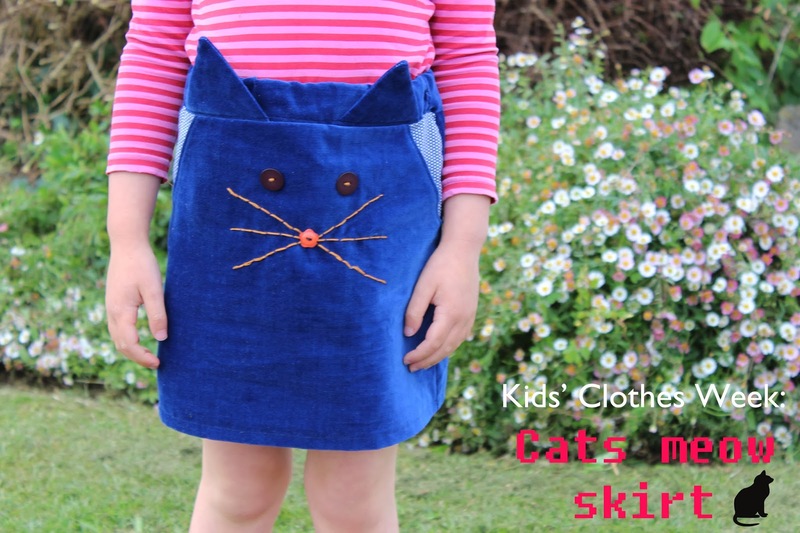 I've got that pinned and have been wanting to make it for my daughter too, must get started! You've done a great job! What a crack up! She looks like she was having great fun, and who wouldn't really, with such a happy skirt? Thanks Ruth! Yeah these photos make me laugh!! Suz, this is so fun, so sweet! I might just have to copy this for my girls! Ha! Oh, this cracked me up. You can see how much she LOVES it! And why not, a cat skirt....waaaay cool.